Our 8" STRIPE KIT includes a full 30 or 36 feet of high quality 8" striping for only $44.99 for the 30 foot kit and $49.99 for the 36 foot kit. This is more than enough to cover the hood, roof and rear of the car. The kit can be ordered WITH or WITHOUT a separate roll or sheet of pinstripes. (60 ft) $5 extra for pinstripes. 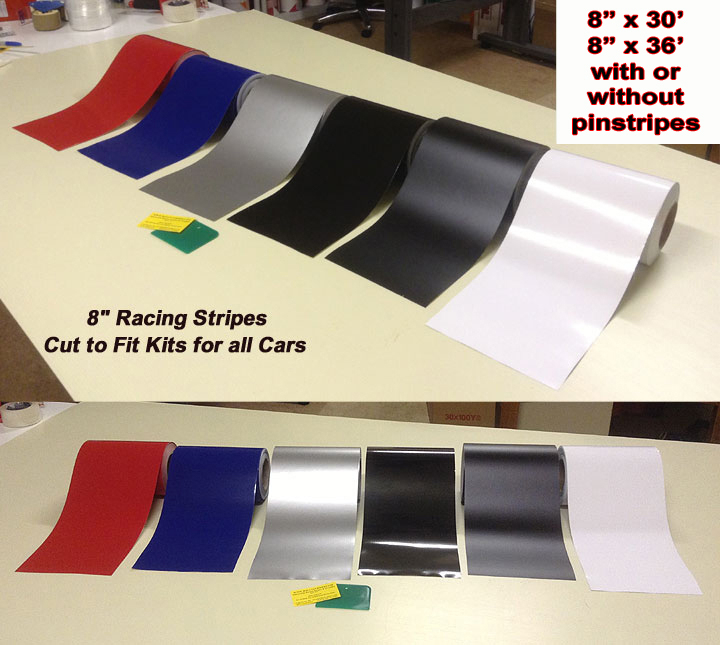 All of our stripe kits are cut from our amazing 3m Brand Wet Application Vinyl. This means that the stripes can be applied using soapy water much like window tint is installed. This makes it easy for anyone to install stripes on their car. The mild soapy water has no adverse affect on this vinyl. 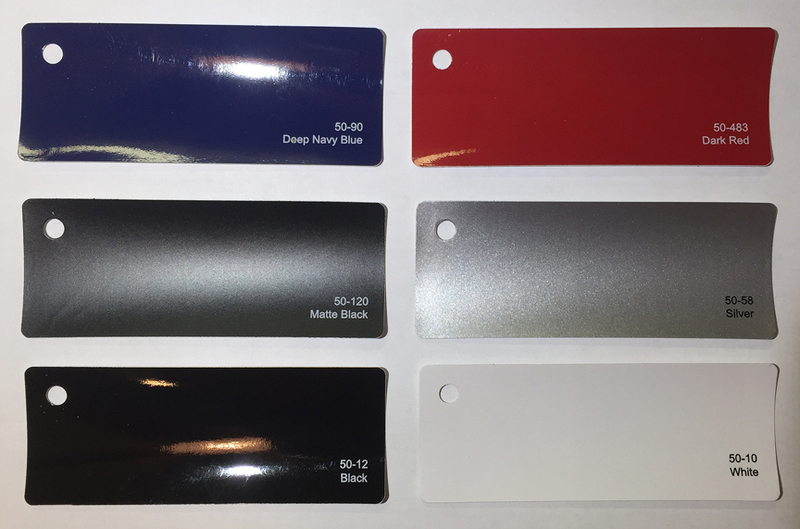 YOU HAVE YOUR CHOICE OF WHITE, BLACK, MATTE BLACK, SILVER, RED or BLUE. Click below to see our colors. Select your color using the drop down window above. This is a cut to fit kit meaning you cut each piece to fit the area of the car you are striping. Cut to fit kits fit almost any car. Easy instructions & a free squeegee are provided with the kit. 2. Then slide the stripe into position and squeegee out any air bubbles with the free squeegee supplied with the kit. 3. Once dry you trim any excess with an exacto knife or razor blade. Installation is very simple and forgiving. NOTE: As long as the stripe is wet you can work with it. When the soapy water solution evaporates the stripe is permanent until you want to remove it. You can order online with a credit card or paypal. Feel free to call 850-934-3157 with any questions.